As a schoolboy, he had already taken his calculator apart to see how it worked. Today, he’s fascinated by big technology. 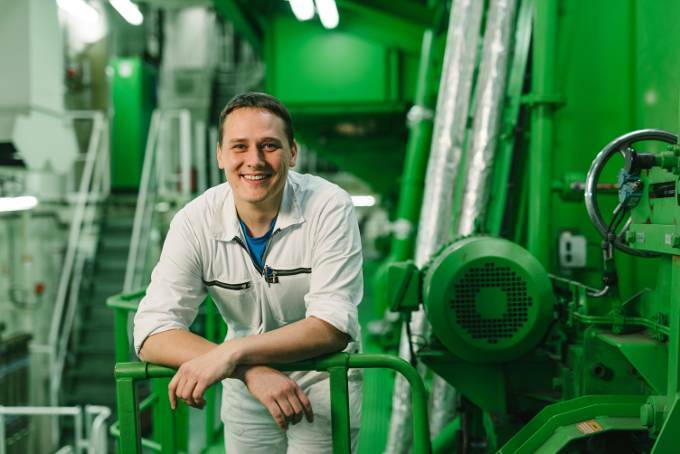 Marcus Nehls works as the Second Engineer aboard Hapag-Lloyd containership Antwerpen Express. The “grease monkeys” – that’s how the nautical officers on board affectionately, if also a little mockingly, call the engine crew sometimes. The preconception is that crew members who work below deck look pale from a lack of sunlight and are smudged with oil instead – as well as not being very talkative. And they’re so impressed by pistons and compressors that not everyone on land can understand why either. Then you meet someone like Marcus Nehls, and the hasty preconceptions start to fall apart. 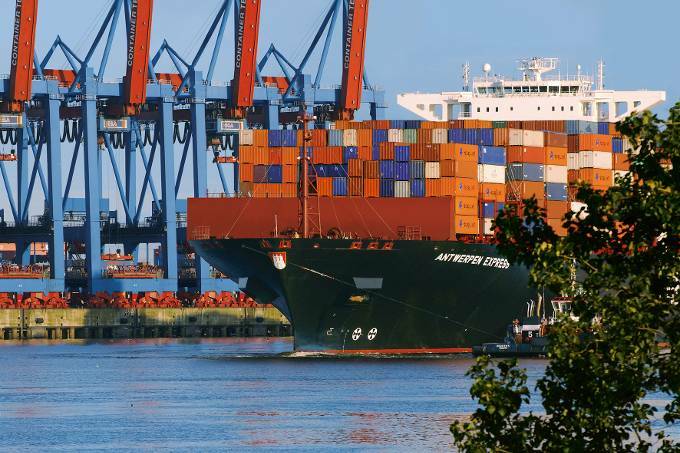 Nehls, 32 years old, is Second Engineer on one of Hapag-Lloyd’s biggest ships, the 13,200-TEU giant, Antwerpen Express. And not only is he remarkably friendly, uncomplicated and open, he’s also an engineer who’s a keen and skillful photographer and who likes cooking at home, with a predilection for Middle Eastern classics like falafel, halloumi cheese and parsley salad. Of course, Marcus Nehls can talk with understandable fascination about the electronically controlled main engine on board, eleven cylinders, 71,000 horsepower, five stories high. But first things first. He was born in West-Berlin, the son of civil servants. A crisis-proof job, but not an option for Nehls. As a high-school graduate, he was more interested in finding out about the navy at a taster weekend. His mind was firmly made up afterwards: ship, yes; uniform, no. “The military drills wouldn’t have been my thing.” As a schoolboy, he had already taken his calculator apart to see how it worked. Today, he’s fascinated by big technology, “the totality of the engine as a system,” Nehls said. As “Second Eng”, he delegates the duties – along with the Chief Engineer, the head of the engine – to the five-man engine crew and is responsible for maintenance. Nehls has been second engineer since 2011 and is currently travelling on board the Antwerpen Express on the Far East service. Rotterdam, Yantian, Ningbo and Singapore are the names of his ports – the last of which he particularly likes: “That one is still close to the city, where occasionally there’s enough time for some quick shore leave.” His favorite, however, is Halifax in Canada: “A fantastic location, and a beautiful little city to go out in.” At home, incidentally, Nehls cooks his Middle Eastern food together with his wife, a qualified Egyptologist. That is, when he’s not out and about with her on his two-wheeled Honda VFR 800 riding around the boulevards of Berlin.